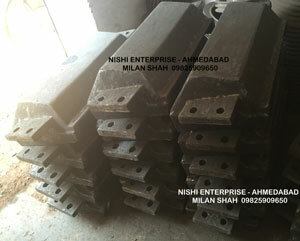 Nishi Enterprise is one of the well-known manufacturing companies of PCM moulds in India. Our PCM moulds are used for the manufacturing and processing of pig iron which is why they are heavily applied in blast furnaces. We always expose our PCM moulds to extensive heat treatment so that they may have a longer life. 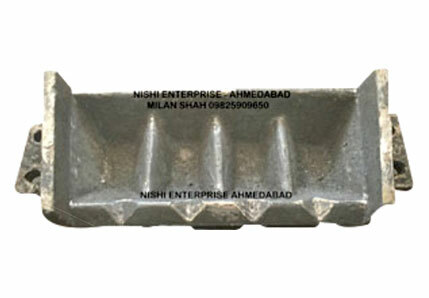 As a company that has been in business for more than the last three decades, we at Nishi Enterprise have emerged as one of the most powerful manufacturers of top grade PCM Moulds. Our state of the art PCM Moulds are made from the best quality materials so that they can withstand extremely hot temperatures and can still work greatly for many years. Being a company that is skilled at the designing and manufacturing of PCM Moulds, we procure the finest materials from a wide range of sources and then work on them in a myriad number of ways to create these moulds. Therefore if you are looking to create pig iron in your industrial workshop, you can rely on us for providing you with the finest specimens of PCM Moulds. Our expert engineers can craft the best PCM Moulds for you that you can use to enhance the operational efficiency of your project. We also excel in creating custom solutions for our clients so that they can get more out of their pig iron manufacturing efforts. Every company focused on manufacturing pig iron may have slightly different goals as to how to get things done. In that case, they may need to make use of customized PCM Moulds to get optimum results. So once you have decided to make use of such products, simply get in touch with our engineers and experts and they can create the best custom PCM Moulds for you. We are absolutely sure that with our assistance you will be able to cut down on production costs and enhance your market potential in the business world.